The Montecristo Joyitas is a delicious little Habano, a medium-full Laguito No.3, 4.5” (115mm) long, of 26 ring gauge, and comes in a box of 25 cigars. The fact that it is a Laguito No. 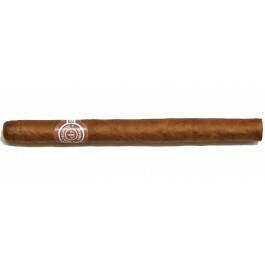 3 already endows this size by Montecristo with Special qualities. 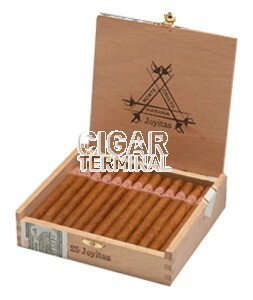 A small cigar with a gauge of 26, it is unquestioningly the king of this format, together with the Panetelas by Cohiba. It has very little in common with all the other brand sizes. With an apparent lightness in both aroma and flavor, once you taste it you shall feel convinced and satisfied. When it comes to taste and smoke: the small shape is an inconvenient. It has an earthy taste with hints of dark roasted coffee on the palate. A very short hot final.